For mental health professionals who are putting together a publication on how to handle stress, clipart can make the pamphlet or brochure much more visually interesting. Yoga and meditation are great stress relievers, and images of people doing yoga work very well to illustrate a stress management article or a pamphlet on yoga and meditation. Simply taking time to relax and enjoy nature can make stress melt away. Soothing images of nature or of people resting and relaxing can help illustrate this great way to keep stress under control. Exercise and physical activity can reduce stress, and also have the added health benefits of weight control, lowered blood pressure, and improved cardiovascular function. For brochures on how to handle stress, clip art depicting people engaged in running, bike riding, swimming, or sports can emphasize the importance of physical activity in stress management. Social contact can increase relaxation and decrease tension, making it a great stress reliever. Clipart of people socializing, perhaps having dinner together, taking a walk, or simply talking can illustrate this important stress control strategy. Taking a vacation is sometimes the best way to escape the stress of everyday life. Even a weekend away can leave stressed out adults feeling rejuvenated and refreshed. Travel related clipart of planes, cars, or suitcases can work well for this stress management idea. For professional looking documents, choose high-quality clipart images with a similar style. Don't mix formal and informal images, or very simple clipart with very ornate and detailed clipart. Don't use images without permission, and make sure you document the sources of clipart, photos, or illustrations. 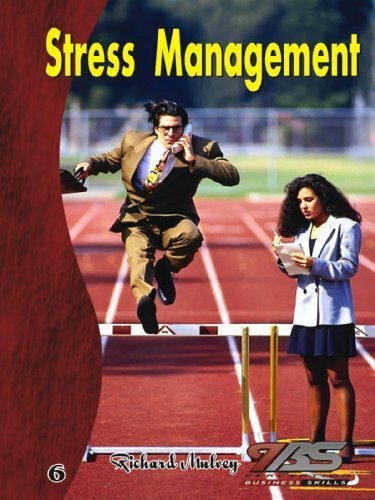 A brochure on stress management techniques wouldn't be complete without a few great images.